We offer a wide variety of services including but not limited to Comprehensive Eye Exams, Contact Lens Exams, Pediatric Eye Exams, Ocular Disease Management, and Low Vision Services. Making your experience a convenient one starts with scheduling an appointment. Fill out our online form and our staff will do its best to accommodate you. 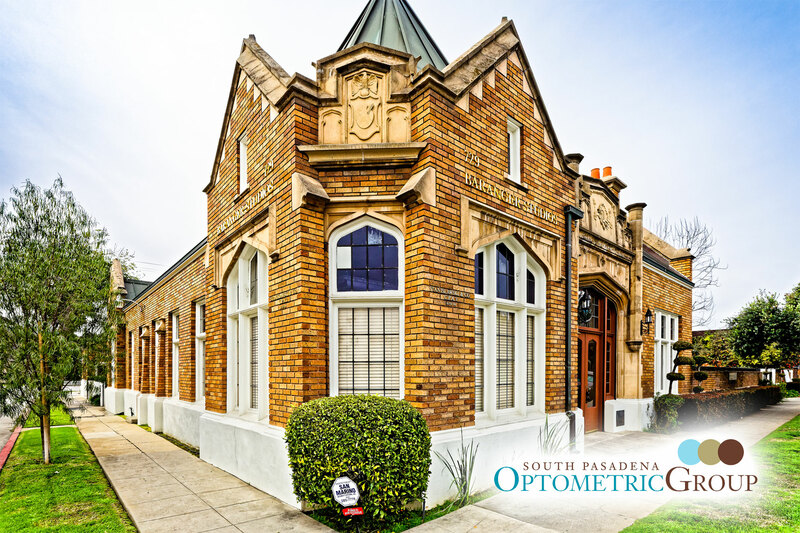 Founded in 1991, South Pasadena Optometric Group has long been recognized as a leader in patient care, obtaining the majority of our referrals from local physicians and surgeons. Our office is a family optometry practice that prides itself on the individual care and attention we provide all of our patients – from infants to seasoned adults. Each year the practice grows, and implements new technology, while staying dedicated to providing “small town, personal service”. We are located in the historic Baranger Studios building. Please call our office today to make an appointment"
My first visit at this optometry exceeded my expectations. I had a comprehensive exam done with Dr. Lee, who was attentive and thorough. She addressed all my dry eye concerns and explained everything in depth. She recommended a few products that I am excited to try. Although my exam ran a bit longer than the expected appointment duration, Dr. Lee was patient and did not rush through anything. At the end of my appointment, she found that my previous prescription (from a different optometry) was actually stronger than necessary. Dr. Lee gave me an updated prescription that I am more than happy with. My eyes are finally able to relax. I highly recommend seeing Dr. Lee for an eye exam; she really goes above and beyond to make sure your eyes are getting the proper care. It was my first visit with Dr. Lee and left the office incredibly satisfied!!! She took her time with my exam explained all my questions and concerns. All the staff was friendly and organized from start to finish. Good job keep up the great work! !